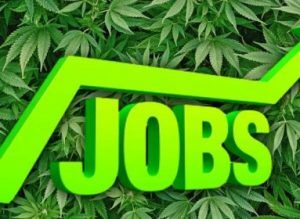 Oregon’s marijuana industry is adding more jobs to the economy than the state’s tech industry, albeit at a lower average wage rate. Since 2007 – the beginning of the Great Recession – the economy of Oregon has added more jobs via the alcohol and marijuana industries than its popular technology sector, according to the state’s Office of Economic Analysis (OEA). While the average wage for tech workers is still significantly higher than for alcohol or cannabis workers, the data underscores the state’s thriving alcohol and emerging cannabis sectors. Oregon state economist Josh Lehner noted that tech workers in the state earn three times higher than employees within the marijuana and alcohol sectors. Oregon’s alcohol industry continues to boom in the state primarily because of the development of a cluster of brewery system manufacturers. “So when a new brewery opens up elsewhere in the country, there is a good probability they are buying and using Oregon-made equipment,” said OEA’s Josh Lehner. While the alcohol/weed and tech industries are not related or comparable in any form, their different abilities to create jobs is a talking point for further economic discussions. Lehner hopes that the marijuana industry in Oregon will develop like the state’s alcohol industry – into a cluster as well and similarly become a source for the national marijuana industry. OEA’s employment data shows there are between 11,000 to 12,000 marijuana-related jobs in Oregon at the moment.